Help move research from the labs to patients through innovative technology and therapies. Create scholarship programs for senior and emerging scholars - these scholarships will provide researchers with grants to further their work. Provide team research awards to groups working on collaborative, multidisciplinary projects. Developing new technologies that will speed up the process of developing cancer drugs, such as single cell genomics. “Our Cancer Center has a national reputation for innovation and collaboration. This gift from the Forbes family will allow us to further accelerate our interdisciplinary work in ways that should truly improve patient care,” explained Ted Lawrence, M.D., Ph.D., director of the UMich Comprehensive Cancer Center. With all this funding, researchers at the University of Michigan, Ann Arbor have the means to purchase many new lab products that will help with their studies and clinical trials. 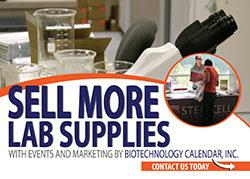 Biotechnology Calendar, Inc. produces an annual BioResearch Product Faire™ event in Ann Arbor that is a great opportunity to market lab products to active life science researchers at the university. This annual event brings researchers together with scientific supply companies, so that the researchers can find the best and newest products and technologies to further their work. The 16th annual BioResearch Product Faire™ at UMich will be held on July 28, 2016, where more than 500 life scientists are expected to attend. 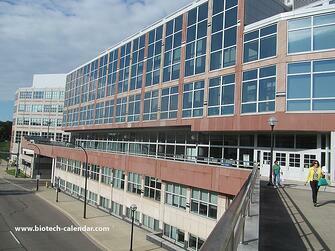 Last year, 546 researchers came from 38 different research buildings and 86 on-campus departments.